The FACE CLOCK 5 brings in the new era of clocking and access technology. 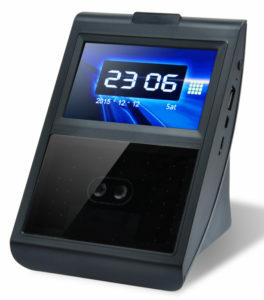 This solves those disadvantages of fingerprint identification by providing a NO TOUCH solution. The scanner will work perfectly in dim or dark areas. It has a bright clear display with touch functionality which makes it easy to set up and operate. It identifies all types of faces and even those with glasses and beards. viewed and printed in Excel.